A breakfast or snack that tastes like a cool, creamy milkshake? Yes, please. 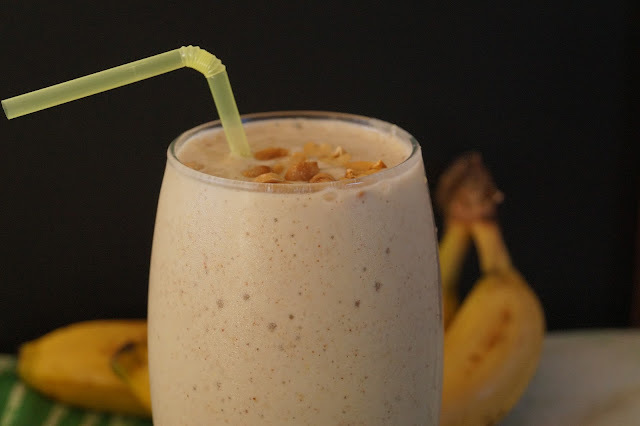 The classic combo of peanut butter and banana, along with a generous addition of ground flaxseed makes for a highly nutritious, protein-packed drink that's ideal for post-workouts or whenever you feel like your diet could use a protein boost. Freezing the bananas overnight would be my top tip for taking this smoothie to another level because the consistency you get is - for want of a more sophisticated word - lush! In a blender, add all the ingredients and blend until smooth. Keeps in the fridge for up to two days.